I offer that personal touch with warmth, creativity, calmness and flexibility. I will help reflect your personality to make your wedding truly unique”. Understanding and listening to your beliefs, desires and needs while providing guidance to you both and giving insights based on my wealth of experience would be a joy and a privilege. Please Call me for an informal chat as I would love to be a part of your important day! Helping you to make it stress free and enjoyable for all. Please view the Gallery and Testimonials for more information. 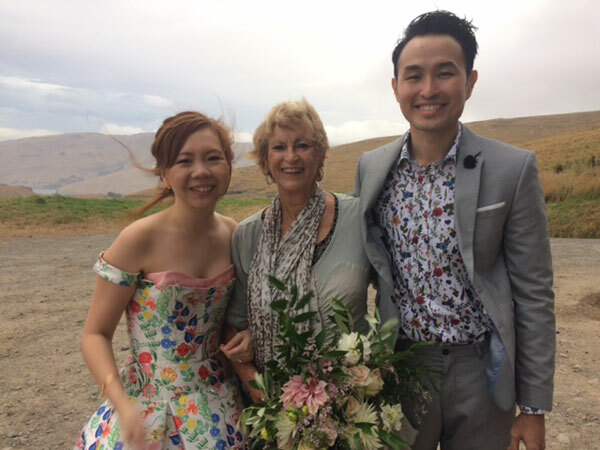 Annette Farquhar is a member of the Celebrants Association of New Zealand.